Having a hard time expressing just how much you love your special someone? Looking for a piece of jewelry that does the talking for you, and says “I love you today, As I have from the start, And I’ll love you forever, With all of my heart.” The infinity collection does just that! Don’t worry if your not good with the words, let these pieces from the Infinity Jewelry Collection do the talking for you, and take her breath away. 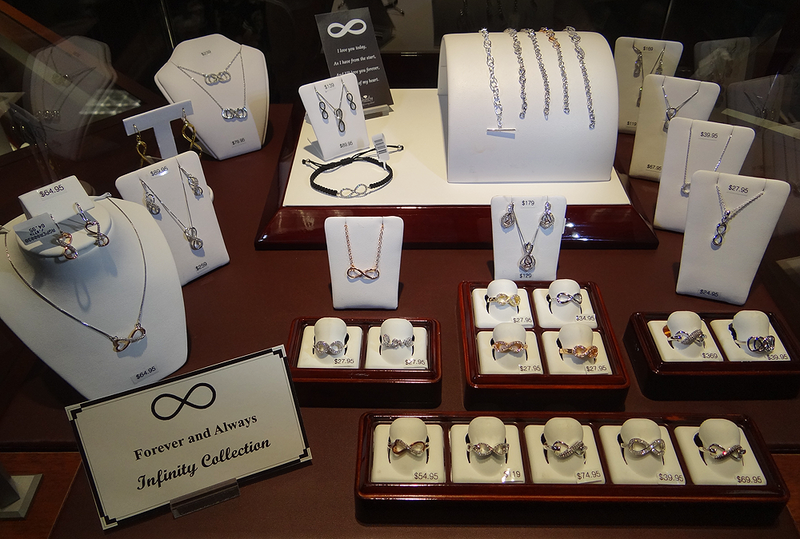 Tell her that you will love her “Always and Forever” with our Infinity Jewelry Collection! We have pieces that start at the affordable price of $24.95 for the pendant. We also have rings, earrings and bracelets with the lovely infinity design. They come in sterling silver, as well as sterling silver with rose or gold plate, with diamonds or CZs. Stop by today to see these lovely pieces in person! See them online here. This entry was posted in Jewelry, Jewelry Trends and tagged infinity, infinity jewelry, Jewelry, jewelry warehouse. Bookmark the permalink.